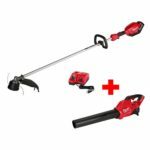 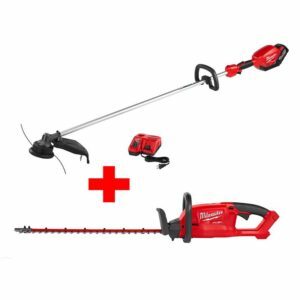 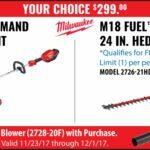 Right not you can get a deal on the Milwaukee 2725-21HD M18 FUEL String Trimmer Kit with 9.0Ah Battery ($299 with free shipping) and receive your choice of EITHER the Milwaukee 2724-20 M18 FUEL GEN II Blower (Bare Tool) OR the Milwaukee 2726-20 M18 FUEL Hedge Trimmer (Bare Tool) FREE! Choice of promotional item will be done in your shopping cart. 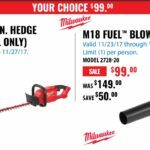 This deal expires April 16, 2018 or While Supplies Last so act fast before it’s over. 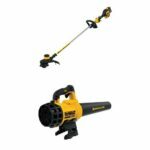 Make sure to choose your free item in the cart before checkout to receive free item.